Richard De La Font Agency, Inc.
Kool & the Gang may be available for your next special event! Kool & The Gang, the group with a sound that has influenced the music of three generations, has sold more than 70 million albums worldwide. Songs like "Celebration," "Cherish," "Jungle Boogie," "Summer Madness" and "Open Sesame" have won two Grammy Awards, seven American Music Awards, 25 Top Ten R&B hits, nine Top Ten Pop hits and 31 Gold and Platinum albums. Kool & The Gang has performed continuously for more than 30 years, longer than any other R&B group in history. Their ticket to longevity has been the evolution of their music. Kool & The Gang's classic hits have become a mainstay for rap and Hip Hop artists. Also, they continue to entertain audiences worldwide through extensive touring. 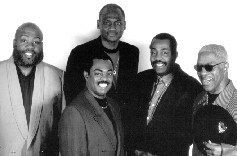 They made several historical performances in Russia and were the first African American band to perform in Taiwan. In the mid 90's, nostalgia for 70's and 80's music in the U.S., Europe and Japan began to explode. Kool & The Gang's classic sing "Jungle Boogie" was featured on the multi-platinum soundtrack "Pulp Fiction." Classic hits like "Ladies Night," "Hollywood Swinging" and a host of others were revived with a Hip Hop twist from rap artists, such as Mase, Puff Daddy, Coolio and Will Smith. 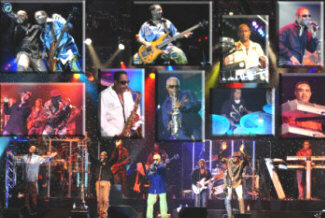 Kool & The Gang continues to perform to packed audiences of new and old fans around the world. "I believe the key to our success for three decades has been our ability to stay on the cutting edge of R&B and Pop music. The new millennium is our time to celebrate 30 years of success. We will continue to stay on the cutting edge of music by blending Hip Hop, R&B and Jazz with our winning sound." "I feel that our longevity in the music industry is a result of our relentless pursuit of excellence and consistency. We are now a part of the Hip Hop millennium. We have a great respect for Hip Hop music and Hip Hop artists have a great respect for us. The future of our sound will be an infusion of classic Kool & The Gang with Hip Hop." "The Creator has truly blessed us in so many ways. Our strong friendship with each other has allowed us to come together to create music for our loyal fans. With the Creator in our hearts, I believe our sound will continue to grow and mature with the times. The new millennium represents a complete cycle of our success. By helping to develop the talents of others, Kool & The Gang will once again supply music to the world." "Our longevity is based on our rich musical backgrounds, variety and mutual respect for one another. I believe we will always be a part of the fabric of the music world and continue our growth and expression of new ideas." Do you need to print copies? This company has been providing excellence in entertainment and customer service since 1970.
booking entertainment, such as major name entertainers or celebrities, booking Kool & The Gang, booking information on Kool & The Gang, or hiring Kool & The Gang for your special event, or to book or hire Kool & The Gang, or if you are seeking the Kool & The Gang booking agent for corporate entertainment or for a private party. Consider the opportunity to book Kool & The Gang or other entertainers for a wedding, birthday, anniversary, business meeting or convention. If you are not a talent buyer, we are unable to provide Kool & The Gang manager or management contact information. This is the official website of Richard De La Font Agency, Inc. Contact us to book a celebrity entertainer for your private party, birthday, or wedding, or for your corporate event! Consider this your official Kool & The Gang booking agency web site – The booking agent who works for you! This company acts as an entertainment consultant or broker/producer and does not claim or represent itself as the exclusive agent, representative or management of Kool & The Gang. This is the month of April update of this page. Cost, fee and pricing are available. 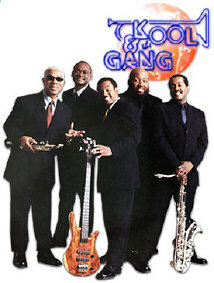 Kool & The Gang, r&b music artists - booking agent. This group may be available for your event. Book them if you can. You will have the time of your life!